"RAJAMOULI DOES NOT WANT TO STAY IN HIS COMFORT ZONE"
Baahubali 2 is all set to release tomorrow. What are your feelings right now? I am very happy, excited and anxious too. Baahubali 1 (B1) had increased the expectations for Baahubali 2 (B2). Did it put some kind of pressure on you in terms of cinematography? Pressure was more in B1 as we were attempting something that was not done earlier in this era of Indian cinema, of this scale. We were anxious if we would satisfy the audience or not, because we were aiming something like a larger than life feature. Once we had got the audience’s acceptance and approval, the second part was mainly to better our efforts in B2. We had the experience in B2 from B1. So it was easier in B2. Were there any differences towards your approach to cinematography in these two films? No, I don’t think there is any major approach difference per se. As I said earlier, when we were doing B1, there was a lack of experience, but during B2, we had the experience of the first part that helped us understand the craft in a better way. The approach was the same in both parts. We all knew it was once in a lifetime opportunity. After B1, we know people’s expectations are high. We did not want the visual quality of the film to go down in any way. The advantages we had in B2 was there is a lot of drama in B2 which was not there in B1. This will definitely enhance the experience for the audience in B2. The second part is more intense. All those who liked the first part are bound to like the second part. Did you see the finished product? In your opinion, how has it shaped up? We have definitely done a better job in B2 and we are sure to thrill the audience. They are going to be blown away by the visuals, acting, technicalities, dialogues, music and everything. Baahubali 2 is much ahead of Baahubali 1 in every aspect. According to me, this is definitely going to be a benchmark film in the history of Indian cinema. As regards cinematography, what are your learnings from both B1 and B2? Not only in terms of cinematography, but B1 and B2 have been a learning experience for me in many ways. 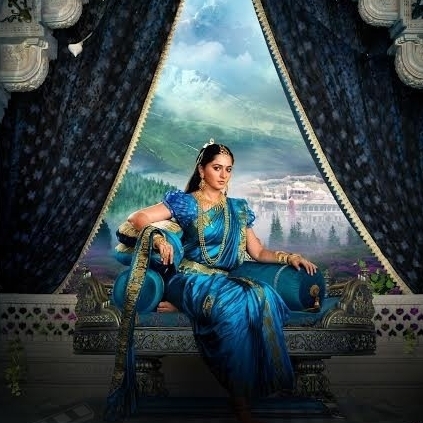 Working in Baahubali was like doing a doctoral thesis. It was a five year journey and was like going to college for every day for the past 5 years. Major thing, I learnt was patience. When you are doing something as grand as this, you need to be patient to achieve the result for the idea to translate itself visually. You can’t get it at the snap of the button. You need to follow a certain process. A great team is also needed to accomplish this and we had that. We need to gain the respect of the fellow team members. Once you have the team and the respect, you are bound to give great results. I learnt the importance of team work. Any challenging moment in B2? The whole film was challenging. Staying motivated throughout the journey day in and day out was the biggest challenge. We are used to doing a film for 5-6 months or maximum one year. But here, doing a film for so long was in itself a challenge. There are many minor challenges, like the weather conditions. Since we were dealing with a big project, sometimes things go wrong and sometimes right. Those are all part of the job, such things are bound to happen. Rajamouli is someone I have worked with for the past 13 years now. With every film, he is becoming better and better. His way of story telling, presentation, visualization and everything is going a notch higher steadily. He is someone who does not settle for less than what he has envisioned. He will go to any extent to achieve his objective. He expects the same from his team too. He motivates them and pushes the limit with every film he is doing. Working with Rajamaouli in itself is a learning experience. I am fortunate to be associated with him. We started with a sports film Sye. When he becomes comfortable in taking sports film, he would not attempt the same the next time, it would be something else. We did Yamadonga, a mythological film which was successful. He didn’t try the same genre later. He did Eega and now Baahubali. He does not want to stay in the comfort zone and always stretches himself to the maximum. He wants to take up new challenges and throws challenges. That way it is very exciting to work with him. We all believed in the director when we started this project. Prabhas is someone who completely trusted Rajamouli. The faith and belief he kept in the director, on the project and his character were phenomenal. I don’t think, at least at this point, any actor, would give in so much of his time and dedication playing such a role. He is in one film for the past 5 years. The growth that I have seen in him as an actor is amazing. Whether he is playing Shivdu or Amarendra Baahubali, the modulation and the body language are totally different. He had worked very hard and had really pushed himself to a great extent to deliver. The transformation of his body language, small subtle reactions, his walking style, dialogue orientation are distinctly different in the two characters. He has given it all. This film is filled with amazing talents, be it the technicians or actors. I can talk a lot about Sabu sir, Kamalakannan sir, Ramya Krishnan, Sathyaraj garu, Nasser sir, Anushka, Rana, Tamannaah. When there are so many talented people coming together, the product is bound to be a world class one. Everyone was willing to give more than 100 %. It was so good to see everyone outdoing each other in a sportive spirit, it was a great bonding. My immediate plan is to spend time with my wife and children and take them out for vacation. They have been patient enough to let me work and not disturb. People looking for online information on Baahubali 2, K K Senthil Kumar, SS Rajamouli will find this news story useful.